The inspiration for this approach the design team took right from the computer worlds themselves - expressiveness, virtual townscapes and futuristic game components served as orientation for the arrangement and the display of individuality. These appear within the overall design in the form of an open modular and configurable structure that visually appeals to users, offering them additional functional as well as pleasurable benefits. The concept is inspired by the attention of gamers to expensive, top performance professional gaming mouse and their exquisite taste and appreciation for Level 10 aesthetics. 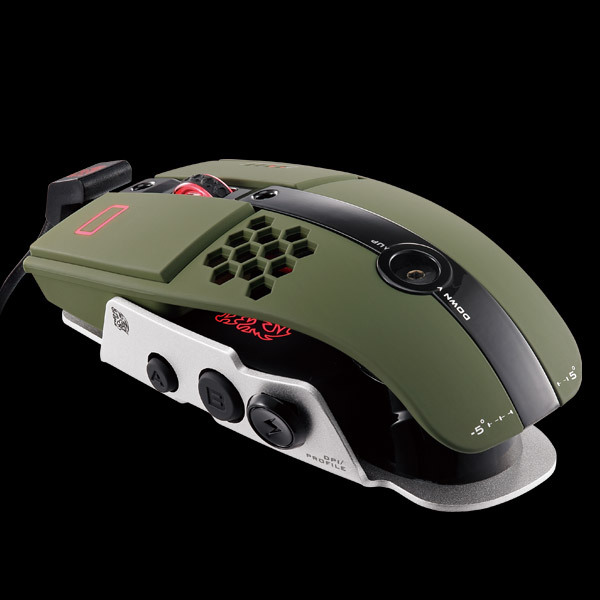 By transferring the previous design success of the Level 10 chassis onto gaming peripheral, Level 10 M Gaming Mouse is the first Level 10 gaming peripheral product aiming to extend the Level 10 experience to directly interact with the users. Its emotional design strongly enhances the overall gaming excitement, and that design serves as the agent between gamer and the game, functions as the experience itself.